A partcipatory activity at Sauna building close to Oranssi. The purpose of the event is to inform and engage with the community at large and re-asses our perceptions about ownership, civil engagement and responsible consumption. The event is open to everyone, free of charge and the people participating are encouraged to bring their own clothes and things to repair, mend or up-cycle as well as to discuss about future exchanges and engagements with the project. With continuing the legacy of the Trashlabs the Repair! event will be dedicated to repairing, fixing and mending, but also to contemplating the history and legacy of the past Trashlab events, while envisioning a new path forwards. It will be focused on establishing a wider community of repairers, tinkerers, fixers, hackers and the wider interested public and in threading new webs and connections while sparking meaningful conversations. Saša Nemec’s art practice is highly influenced by her design approach and her concern for the environment. She pursues her collections through artistic research, leading her to explore digital fabrication intertwined with more traditional tailoring. Her expertise in clothes design led her to develop a community building practice build around sustainability and the right to repair. Her practice spans between exploration of new technologies and use of age old techniques. 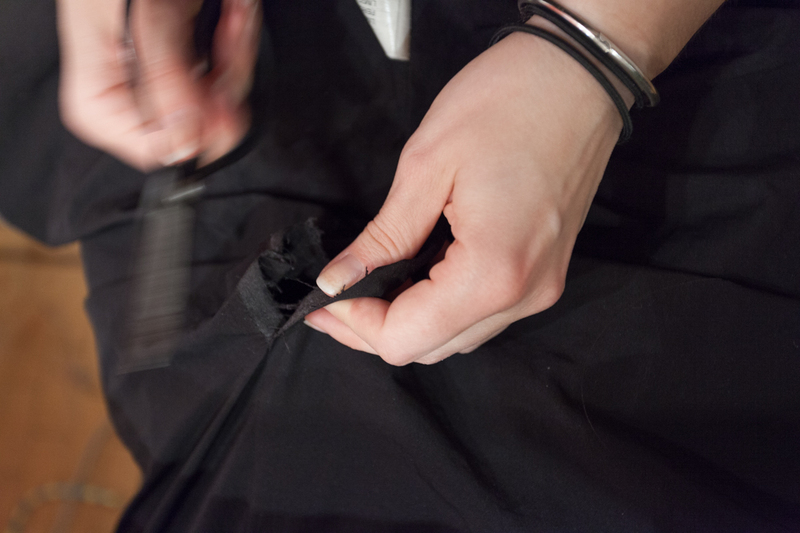 From mending a loose button to creating garments with 3D scanning technology.